Robert Kneschke has been known for years as one of the best known stock photographers in Germany. He has been growing his portfolio among agencies consistently for the last six years and achieved the level of “professional stock photographer” long time ago. While there have been some photographers with larger portfolios or more sales, Robert's status is also due to his long standing efforts to share his experiences and knowledge in his German blog. 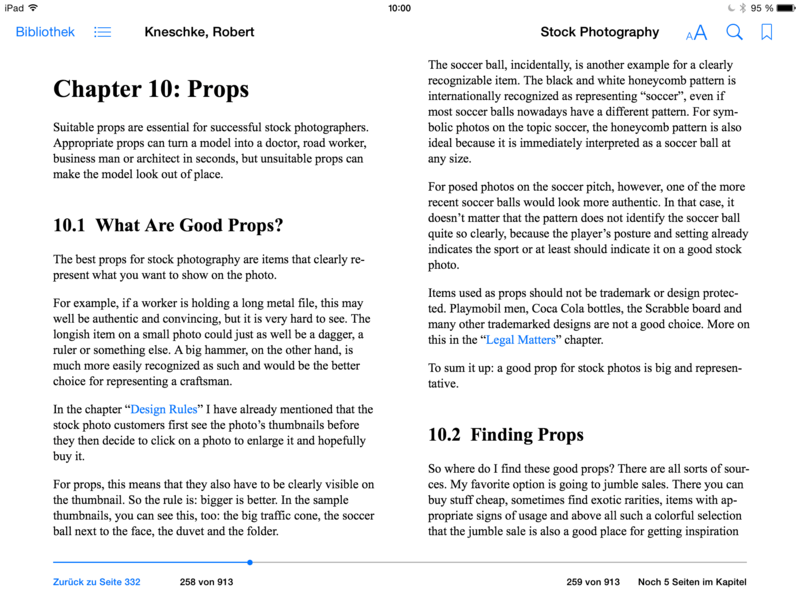 Part of this sharing have been his two books on stock photography and working with models. Now his book on stock photography has been translated to and published in English, making his insights to the business available to aspiring stock photographers around the world. 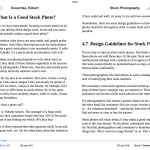 We reviewed the iBook issue of “Stock Photography” but it is also available for Kindle and in the Google Play Store. Win a free copy of the Book – Tell us in the comments why you would need the book! Only 2 free ebooks are available. Ends on 31th of May 2014 23:59! What are the major topics in this book? Robert covers basically all areas that are required to become a successful stock photographer: And by doing so, we find out (or remind ourselves) how many different aspects are to be considered in stock photography. He starts out with technology from camera to lighting and a chapter on the basic principals of composition – both are sufficient to give an idea what has to be considered but as they apply to photography in general, there are plenty of books and websites discussing those topics in depth. The next two chapters are far more valuable: They represent a good insight what makes a good stock photo with regards to content. And here is where stock photography needs to considered different from other kinds of photography – the potential later use is not clear, so there has to be space for the client to use the image in different ways. This has to be thought through from copy space to composition but also means model selection and props. These two topics are also discussed in depth in two further chapters later in the book. Further down the list of topics that stock photographers have to consider, Robert covers the basic knowledge about copyright, trademarks, personality rights – all of which many photographers starting with stock photography have to struggle with at the start. Then, in chapters 16 through 20, Robert presents his way of workflows from planning to processing to keywording. Finally, Robert presents the different kind of agencies and other ways of marketing your images. He also talks about statistics and sales analysis, as well as some general business issues like insurances or potential health risks. The last part of the book presents almost a dozen different stock photographers from amateurs to professionals and their experiences, including some interviews. Is the book worth paying for? If there needs to be criticism, it would cover two topics: Stock photography is a rapidly changing industry, and some of the chapters in the book would probably already look different if they were written today. However, most issues specifically addressing interested photographers who want to go into stock, the generic areas of stock photography have not changed as much in the last decade. You might want to read it once from start to end but more likely it will sit in your (digital) book shelf as a reference guide you can consult again and again for advice how to achieve the next step. 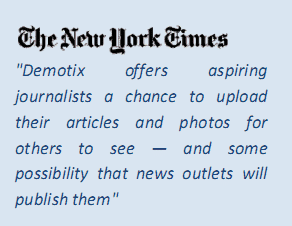 The other potential issues where readers might get disappointed are the short coverage of certain topics. But it has to be said that a book on “stock photography” should not strive to cover generic photography issues like “how to shoot food perfectly”. There are hundreds of books and blogs on food, landscape or portrait photography and all this knowledge can be applied to stock images with a little extra consideration. If you are look for a specific photography topic to be covered in depth, you are better off buying a specific book. Robert is focusing on the question how to translate those specific skills into sales. Overall, the book is a very valuable source of information. You might want to read it once from start to end but more likely it will sit in your (digital) book shelf as a reference guide you can consult again and again for advice how to achieve the next step. No one can turn from “amateur” to “super professional” within a week by reading a book, so keep coming back to chapter by chapter and try to turn the knowledge contained into getting better over time. 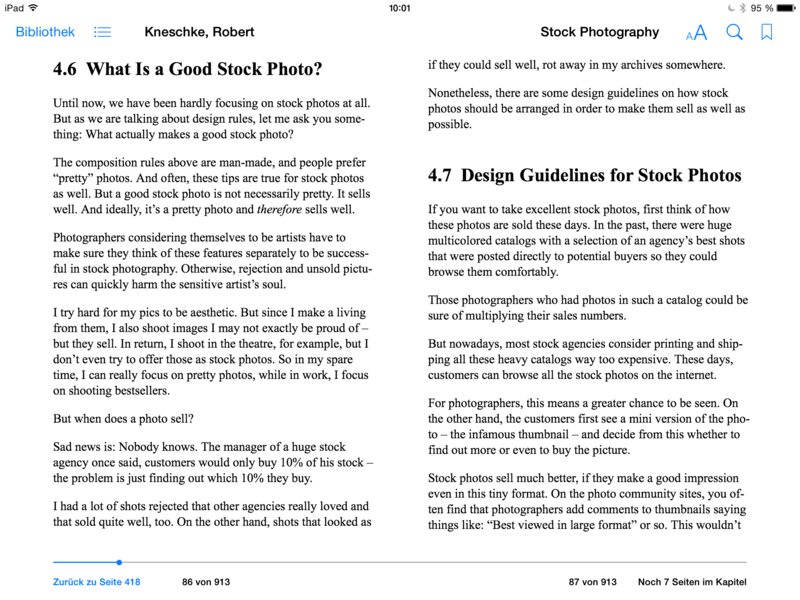 Well, Robert asks and answers this question in chapter 1.4 himself: If you are interested in making serious money from stock photography, you will find interesting information and some insights to a professional stock photographer's life in this book. However, this does not mean the book is of less value for someone who already is making good money from stock imagery. It is always valuable to learn from others and Robert has been very successful in the past years. 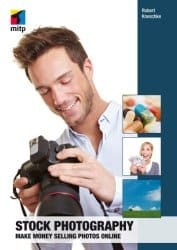 While you can find literally thousands of books on photography – both the technology aspects as well as specific shooting themes – stock photography always has been a niche topic not covered by many authors. The rise of microstock in the last decade has opened gates to thousands of new stock photographers, trying to make a decent amount of money from their images. Many of them fail or give up very early. Robert's book will help those who are willing to do their homework to get better and achieve better results in return. For those, the investment in this book are well worth it. It only takes a few steps of progress to make more money from your images – and if you just learn one new trick from this book, the cost will easily be covered. Robert's Stock Photography book will help those who are willing to do their homework to get better and achieve better results in return. For those, the investment in this book are well worth it. It only takes a few steps of progress to make more money from your images - and if you just learn one new trick from this book, the cost will easily be covered. could certainly use the book – had the first release but donated it to the local photo club.